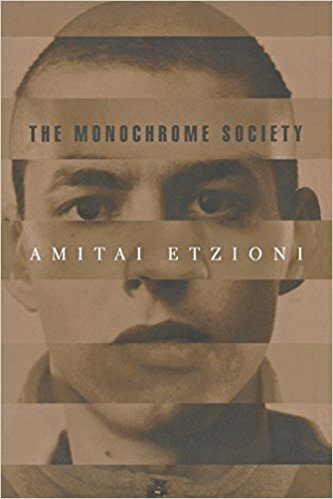 Amitai Etzioni is one of the most influential social and political thinkers of our day, a man synonymous with the ideas of communitarianism. In this book, Etzioni challenges those who argue that diversity or multiculturalism is about to become the governing American creed. On the surface, America may seem like a fractured mosaic, but the country is in reality far more socially monochromatic and united than most observers have claimed. In the first chapter, Etzioni presents a great deal of evidence that Americans, whites and African Americans, Hispanics and Asian Americans, new immigrants and decedents of the Pilgrims, continue to share the same core of basic American values and aspirations. He goes on to show that we need not merely a civil but also a good society, one that nurtures virtues. He assesses key social institutions that can serve such a society ranging from revived holidays to greater reliance on public shaming. The most effective sources of bonding and of shared ideas about virtue, he insists throughout, come from the community, not from the state. Etzioni also challenges moral relativists who argue that we have no right to "impose" our moral values on other societies. He responds to those who fear that a cohesive community must also be one that is oppressive, authoritarian, and exclusive. And he explores and assesses possible new sources and definitions of community, including computer-mediated communities and stakeholding in corporations. By turns provocative and reassuring, the chapters here cut to the heart of several of our most pressing social and political issues. The book is further evidence of Etzioni's enduring place in contemporary thought.